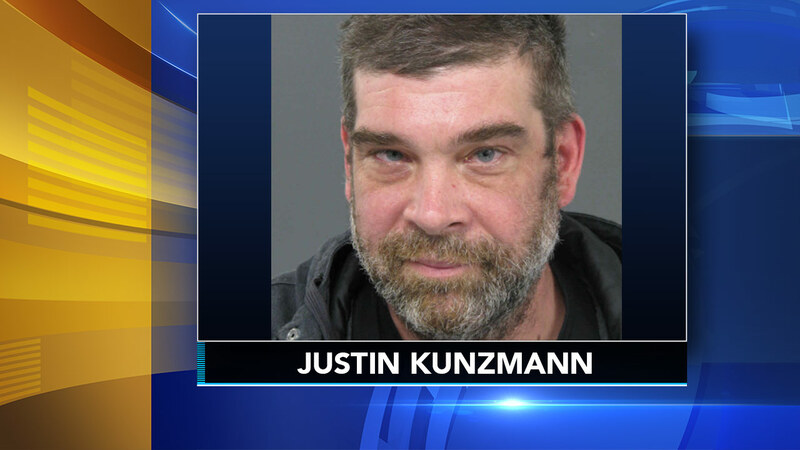 BUCKINGHAM TWP., Pa. (WPVI) -- A man is behind bars after allegedly leading officers on brief pursuit as a nor'easter brought heavy snow to the region. Officers were called to the Buckingham Green Shopping Center around 11 a.m. Wednesday, March 21, for a report of an intoxicated man. Police arrived to find a man matching that description driving a Toyota Highlander out of the shopping center, and onto the snow-covered northbound lanes of Route 202. Officers tried to stop the driver, identified as 46-year-old Justin Kunzmann, but he allegedly began to speed up in an apparent effort to get away. However, officers were able to get Kunzmann to stop, but police say then ignored commands to get out of the vehicle. Officers say Kunzmann had to be forcibly removed. He is being held in the Bucks County prison pending a preliminary hearing.